This team is not a team that can win when they need to. 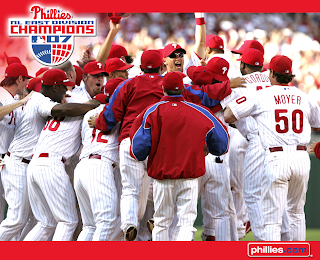 The Phils needed to win over the Marlins this afternoon to send a message that they are the team to beat! They couldn't do it, they lost two out of three to the Marlins at home when they really needed a big win. The team doesn't show heart when it needs to, run support has disappeared for Cole Hamels who earlier in the year looked like a shoe in to win 20 games. Now, it looks like Cole might not be able to get to 15 wins the way things are going. The Phillies do not send the message that they are the team to beat, can they rely on luck to get them to the next level? They may have to, the way they have been playing. I wouldn't bet on them making it far into the playoffs like this, but first they have to make it to the playoffs.